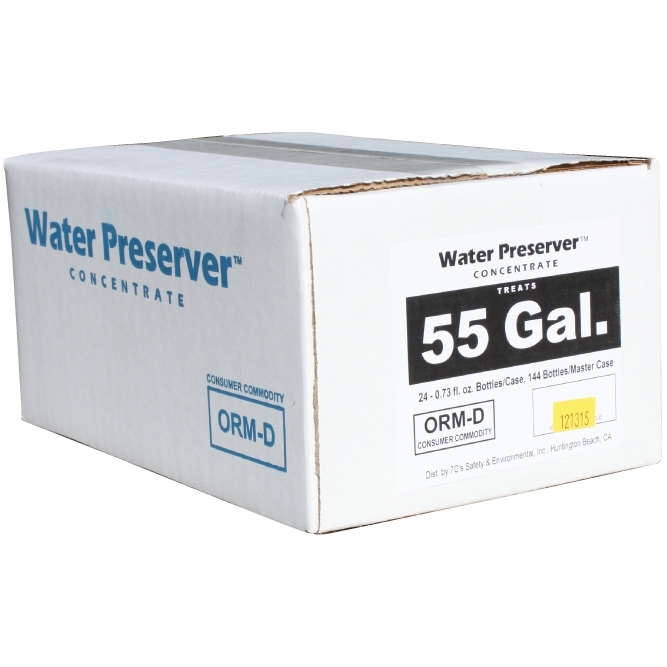 This emergency water treatment is designed to kill organisms responsible for life-threatening illnesses such as typhoid and dysentery, and to prevent the growth of mold, fungus and algae in your emergency water supply. Water Preserver can treat up to 55 gallons of tap water to ensure you're able to store water for up to five full years without the threat of disease. 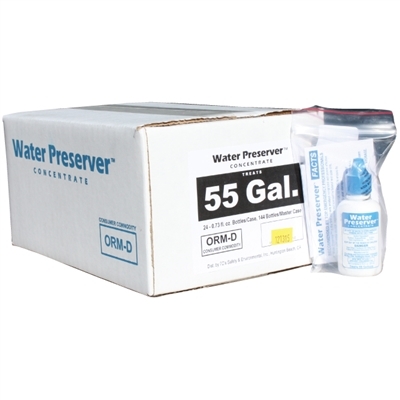 This treatment is ideal for home emergency and wilderness survival water purification, and is an EPA-licensed survival water purification method. Drinking Water Hose - 25 Ft. Drum Cap Seal - Easy On Siphon Pump - 5 Gallons/Minute Bung Plug Fine Thread - 2"